PHILADELPHIA -- Former pro wrestler Jimmy "Superfly" Snuka, who earlier this month was found not competent to stand trial in the 1983 death of his girlfriend, has died at his son-in-law's home in Florida. He was 73. Lehigh County Judge Kelly Banach on Jan. 3 dismissed the murder case against the retired WWE star after the defense said he had dementia, was in hospice care in Florida and had six months to live. Snuka's daughter, Tamina Snuka, also a WWE wrestler, tweeted Sunday afternoon: "I LOVE YOU DAD" with a hashtag #RestWell. Dwayne "The Rock" Johnson, also a WWE star, called it "sad news" in a post on his Twitter page. Banach had first ruled last summer that Snuka was not competent to stand trial after his attorney argued the ex-athlete suffers from dementia, partly due to the head trauma sustained over a long career in the ring. Prosecutors countered that Snuka's brain shows normal signs of aging and suggested he might be feigning symptoms. At a hearing last month to re-evaluate Snuka's mental fitness, Snuka's wife told the judge that the family struggles to keep him from leaving home during bouts of psychosis in which he thinks he's late for a wrestling match. Banach then took time to review Snuka's medical records before ruling. Kirwan said Snuka died "due to complications from his ongoing medical problems." "The family is simply heartbroken. It's been a long journey," he said. "They are grateful to the judge for dismissing the charges against him." Snuka wrote about Argentino's death in his 2012 autobiography, maintaining his innocence and saying the episode had ruined his life. Kirwan said that he believes his client's name will eventually be cleared. 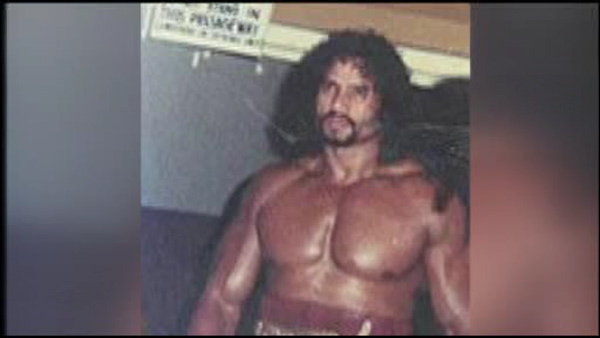 Snuka, a native of Fiji who previously lived in Camden County, New Jersey, was known on the wrestling circuit for diving from the ropes and even the top of steel cages in a career that spanned decades. He was inducted into the WWE Hall of Fame in 1996.